Sweet, sweet summertime! Summer is here and that means its time for fresh scents, dewy skin, and bold lips. In the summer months it’s crucial to take care of your skin with proper sunscreen and facial products with SPF. The sun can take a toll on your skin, if you aren’t property hydrating and protecting it, you could find yourself with sunspots or increasing your changes for fine lines and wrinkles, and ain’t no body got time for that! Mario Badescu – Botanical Exfoliating Scrub, I love everything Mario Badescu! So when this new exfoliating scrub came out, I knew I had to try it! This gel based scrub leaves your skin feeling so smooth, soft and radiant. This scrub is very gentle on the skin, so I would recommend it to people with sensitive skin as well! Its definitely a must try if you are looking for a new, inexpensive exfoliating scrub! Coola – Sport SPF Spray Sunscreen, there are no excuses not to use sunscreen when it comes in a spray form, its so easy and convenient. I love this sunscreen because it has 70%+ certified organic ingredients like Cucumber, Algae and Strawberry Extracts. 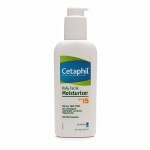 Cetaphil – Daily Facial Moisturizer, I always find myself going back to this moisturizer! This lightweight moisturizer with SPF 15, always leaves my skin feeling hydrated, never greasy. Another plus, its unscented and you can purchase at the drug store. Sugar Lip Treatment – Bold Juicy Coral – in the summer months, our lips tend to get more dry because of sun exposure. This lip treatment with SPF 15 provides essential protection from damaging UV rays. Bold juicy coral is one of my favorite shades to wear in the summer, whether you are going to lay out by the pool and want a pop of color or wearing a no makeup, makeup look and want to look put together this lip product won’t leave you disappointed. 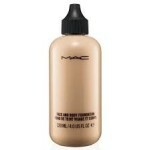 MAC – Face and Body Foundation, this foundation is a holy grail of mine in the summer, well year round really! I love this foundation especially in the summer because its water-resistant, long-wearing, and sweat proof. 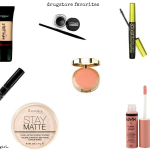 This foundation is very light weight and has light-medium coverage that can be built up. If you tend to get oily throughout the day, I would recommend using a setting powder. 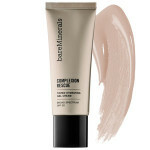 bare Minerals – Complexion Rescue, if you are in need of a hydrating foundation, try this one out! This gel based foundation leaves the skin looking dewy, refreshed, and hydrated. This versatile cream achieves dewy, sheer-to-medium coverage to give skin a radiant, soft, and smooth-looking appearance. Its Formulated with mineral electrolytes to help energize skin, it’s also infused with marine botanicals to help replenish dry skin. 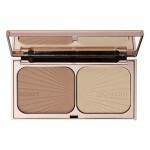 Charlotte Tilbury – Filmstar Bronze and Glow, the name says it all Filmstar. 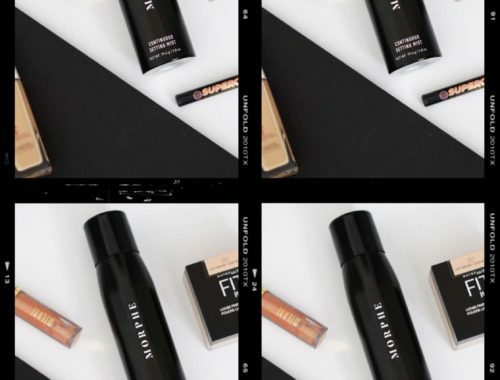 This bronzer and highlighter duo will have you feeling like a celebrity in no time! The bronzer is the perfect universal shade for all skin tones, and leaves your skin looking perfectly sunskissed. The highlighter, ahhh the highlighter, I seriously cannot stop using this highlighter. It’s so beautiful, creamy, and goes on the skin beautifully. The highlighter also uses Light Flex Technology to capture light and have the skin looking radiant. 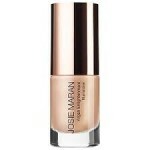 Josie Maran – Argan Enlightenment Illuminizer, liquid highlighters can be a little intimidating to some people, but this illuminizer is just beautiful on the skin. I like to use this illuminizer mixed in with my matte foundations to give me a more dewy finish. 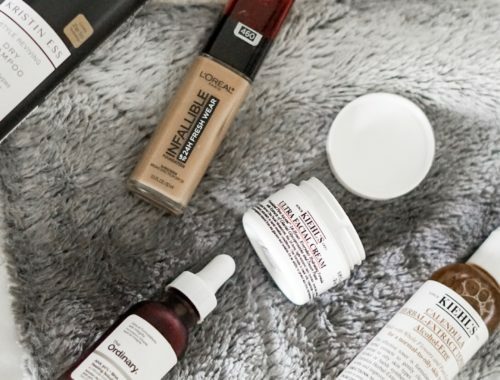 If I’m spot highlighting, I love to take a little bit of this product off the back of my hand with my damp beauty blender and press on top of my cheek bones, top of my brow, and tip of my nose. This illuminzer really does give you that “glow from within look”. L’Oreal – Voluminous Butterfly Waterproof Mascara, when the tempatures heat up in the summer our mascara can tend to run, and raccoon eyes isn’t a good look on anyone. When I know I’m going to be in the heat for a long period of time, I will coat my lashes with this mascara and have never had an issue of it running or flaking on me. If you are in need of a good inexpensive waterproof mascara, try this! Jergens – BB Body Perfecting Cream, ladies, when we are headed to the pool and we know we have to be in a swimsuit, we want our skin to look on point! I always get so many compliments on how good my legs look when I wear this body lotion. The illumination in this lotion makes your skin look absolutely beautiful. This lotion claims to hydrate and smooth, brighten, even skin tone, and minimize the appearance of imperfections. SOLD! 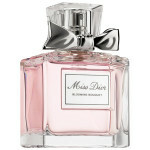 Dior – Miss Dior Blooming Bouquet, looking for a perfect fragrance for summer? Look no further, this perfume is fresh and flirty and summer time appropriate! 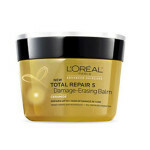 L’Oreal – Total Repair 5 Damage-Erasing Balm, we cannot forgot about our hair care in the summer months. This conditioning mask was made specifically for damaged, over processed and chemically treated hair. Even if you don’t have damage hair, I would still recommend this hair mask. I love how smooth, silky, and shiny this hair mask leaves my platinum blonde hair.